Wow, can you even being to imagine what it must feel like to just be abandoned along the road by your mother. How heartbreaking. Y'all already know I had tears running down my face while reading his story. My heart broke for his little heart. Jimmy is generous in sharing his personal details. He wrote this book in a very factual, yet optimistic way. His story is horrid, without a doubt, yet he tells it with kindness and grace. You won't be disappointed with this book at all! It sure does deliver. 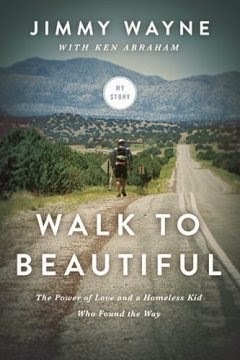 Jimmy took his life and turned it around, striving to get awareness out, about foster kids, through his courageous "Meet Me Halfway" campaign, a 1,700 mile walk from Nashville to Phoenix.